I’m a strong believer in women’s rights, freedoms, and motivations, as I hope most women who have had the opportunity to grow up in North America are. But sometimes, there is a difference in being a vocal and proud woman, not bothered by potential improprieties of, say, how short my shorts are, and being respectful of a particular culture. And when I was in Brunei a few years ago, I learned a very poignant lesson in modesty and respect of others cultures. 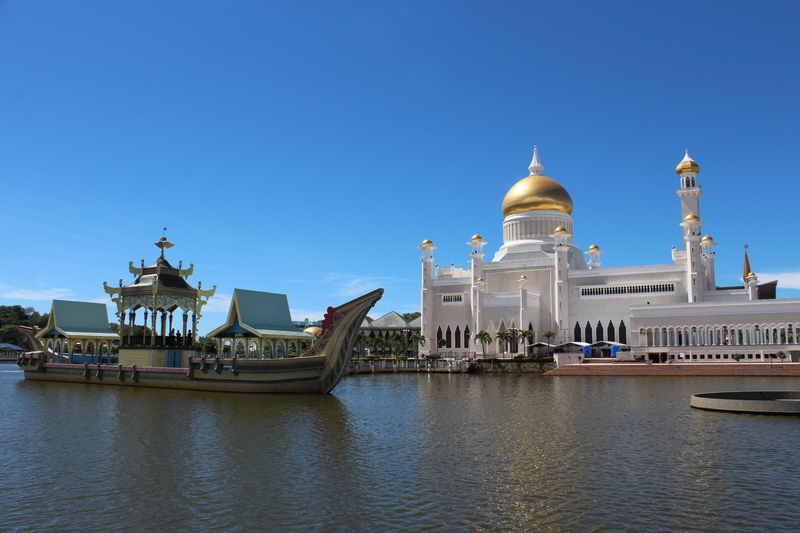 I traveled into Brunei from Malaysia, neighboring countries situated on the island of Borneo in Southeast Asia. Both countries declare Islam as their state religion, with Brunei specifically being an Islamic state. Followers of Islam lead a much more conservative and traditional lifestyle than most people in Western society and they closely follow the laws of Sharia, the moral code and religious law of Islam. Of these moral codes, is a modesty of both men and women, including the type and style of clothing they wear. Specifically for women is the covering of their arms to their elbows, their legs, and often a hijab, worn to cover their head and neck. While spending time in Malaysia, I felt comfortable in larger cities wearing tank top style shirts as well as shorts that were quite a few inches above the knees. When I entered Brunei, I did not take the time to consider that I had just crossed borders and was in a completely different country with a smaller population, an increased percentage of Muslim followers, and more conservative cultural norms, thus leaving me to swiftly realize that my short-shorts were not quite as acceptable here. All it would have taken was a minute or two to grab a sweater or scarf and quickly change my pants, and I could have avoided the very uncomfortable stares of every man who passed me on the street. My insensitivity to their culture and beliefs was incredibly uncomfortable and embarrassing. I could not walk anywhere without the eyes of men following me, noting my blatant disregard for modesty. At the end of my day in Brunei, the lesson was painfully noted and learned: a bit of research into the lifestyle and religious beliefs of the new country or culture I was entering could have saved me the uncomfortable afternoon I spent sightseeing, but more importantly, the personal embarrassment of being ignorant to their specific cultural and religious ways of life. Next time, I will make a point to keep a scarf on hand to easily wrap around me to maintain a much more modest dress. Looking for more tips on what to wear in Muslim countries as a woman? Check out this post on what to wear in Dubai.